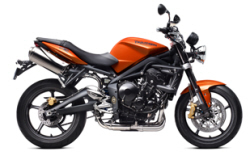 This entry was posted in TuneECU Software for free remapping and diagnostics of your Triumph Motorbike and tagged tuneecu remapping fault code reading. Bookmark the permalink. Need to read codes on triumph 800 ex. abs.what do I need.please be specific..
From my knowledge there is nothing other than the dealer tool that will cover ABS.